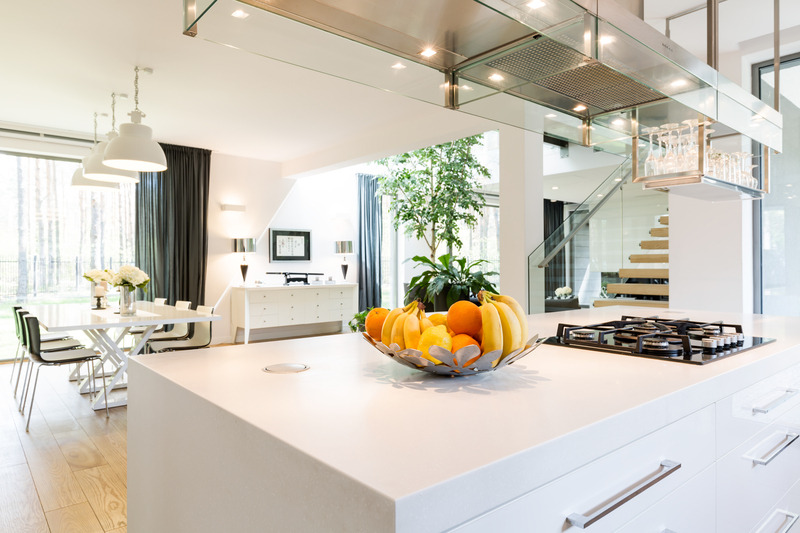 Kitchen is arguably one of the biggest centrepieces of the house. Whether your family is big on eating breakfast at the table with everyone, or you just like baking, having a beautiful and functional kitchen can change everything. The designs that are trendy at the moment make the best kitchens ever, but without the practical side of it all, you can end up with an Instagram-friendly kitchen that has no space for a huge pot for chilli con carne. How to create your dream kitchen without losing money and regretting the decision five years into the future? Writing this article we came up with the idea of the three F’s rule, which perfectly describes how you need to think when creating your dream kitchen. What the F’s stand for? Functional Furniture First. Yes, you need your walls to be splash resistant and your sink easy to clean after washing up, but it’s the furniture that takes up the most space and it’s furniture that you need to think about before you get to the outer design of it all. When you know that you can fit everything in, you can get whatever outer design you desire. Just remember to avoid the hyper-trendy ideas that will be old news by next spring. What elements are the most practical? Okay, you have your idea, you know you want your cupboards to be dark and the worktops to be white and it all works together just fine. When designing a kitchen, it’s not enough. Companies won’t ask you how many cupboards you want and how many drawers you need. The good ones, ones you should invest in will be asking if you need special purpose drawers, spice racks, or cutlery dividers inserted into them. They will ask you how deep you want the drawers to be and how wide you want them. You need to know in advance what you want and where you want it and then work around it. Remember the first rule – functional furniture first. Corner cupboards are the one thing that almost everyone hates about their kitchen, unless they have those pull-out or rotating inserts inside. And you know what? That’s exactly what you need. Beautiful steel elements give the kitchen a somehow modern vibe and the inserts are quite handy when you’re short on space and you need to fit all your baking dishes in somewhere. Folding worktop? Sounds bad until you need to use your kitchen to prepare a pizza party for your friends and you don’t have the space to set them up. One of the greatest ideas of modern kitchen designers is to utilise as much space as they can and give you worktops you wouldn’t know you have unless someone told you. Know those cupboards that pull out like a drawer and serve as a spice rack or wine rack or a storage for your cleaning supplies. People are now ordering it covered by an additional worktop that does take a bit of height out of the cupboard, but means that you can pull it out anytime and extend the space you’re working on. It’s all about those hidden gems that make the kitchen practical.